The cost of a raffle ticket is not deductible as a charitable contribution, even if the ticket is sold by a nonprofit organization. The IRS considers a raffle ticket to be a contribution from which you benefit. If you receive a benefit from making a donation, you can only deduct the amount of your donation that is greater than the value of the benefit you receive. The IRS explicitly prohibits deducting the cost of raffle tickets as a charitable contribution, presumably because it does not consider the cost of the ticket to be greater than its benefit. 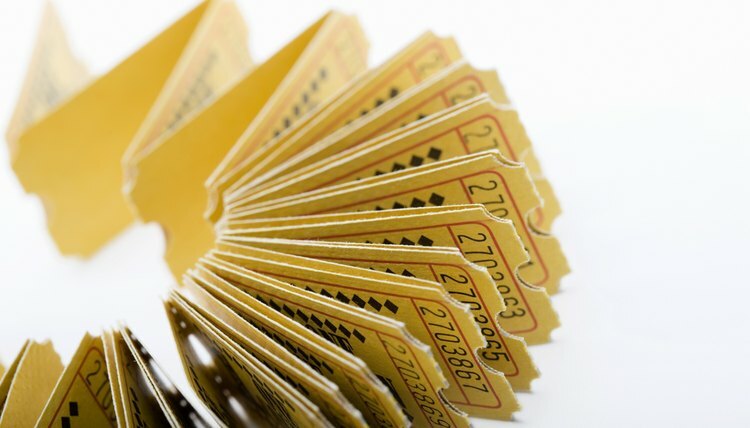 If you lose the raffle, the cost of your ticket might be deductible as a gambling loss. A gambling loss deduction is allowed only if you itemize deductions and only if you have gambling winnings from that tax year. Gambling losses are only deductible up to the amount of gambling winnings. Gambling winnings must be reported on IRS Form 1040, and losses may be reported on Schedule A. The IRS requires you to keep detailed records in order to claim the gambling loss deduction. You must keep a diary that includes the date and type of each wager, name and address of location where you gambled, names of other persons present with you at the gambling establishment, and amounts you won or lost. You must also have other documentation to prove your winnings and losses, such as ticket stubs or payment slips. If you donate property to be used as the raffle prize itself, the general rule is that you can deduct its fair market value as a charitable contribution. There are a great many detailed exceptions and qualifications to this general rule, however. Refer to IRS Publication 526 for a full description of the rules regarding contributions of property. Charitable deductions are only allowed if you itemize deductions and only donations made to qualified organizations are deductible. You can search the IRS website to determine whether a nonprofit is qualified.